He’s supposed to make South Carolina his third straight victory and head to Florida with a full head of steam, at which point Mitt Romney would be the certain Republican nominee. About 99 out of 100 pundits told us it was all over after the New Hampshire primary. That chorus of prescience from the talking heads should have been our first clue. 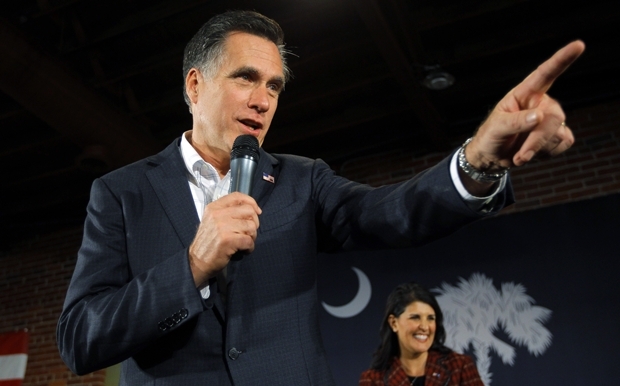 Mitt Romney is fighting for his political life in South Carolina. 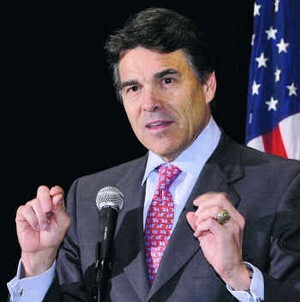 The latest polls have Newt Gingrich just 2 points behind the prematurely anointed former Massachusetts Governor. Sarah Palin went on Fox today demanding that he release his tax returns and offer definitive proof about the 100,000 jobs he says he created when he was at Bain Capital. 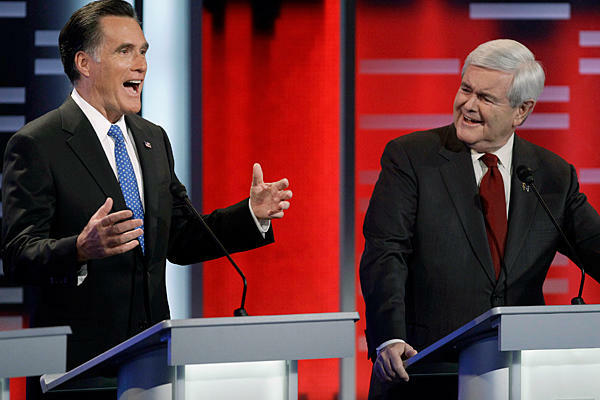 There will have been a full nine days of negative ads from Gingrich before South Carolinians finally take to the polls Saturday after next- a withering attack that may well have the same effect on Romney that Romney’s onslaught did to Newt in Iowa. 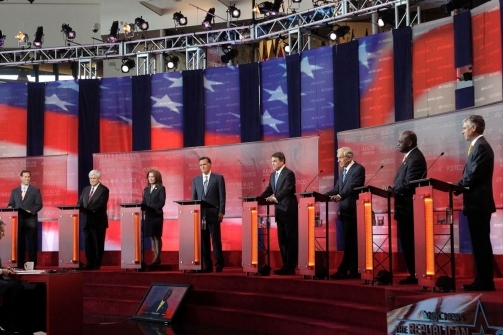 Looks like the Super Pacs are going to make this a contest after all. What is interesting about the path being taken by Gingrich, Perry and Palin in making these attacks on Romney is that it really does reflect a populist “main street” wing of the Republican Party. It must be horrifying to the “Wall Street” wing of the party. And then there’s Ron Paul who will keep getting his 20% and finishing 2nd or 3rd in these contests, piling up delegates along the way. Here’s the reality of the Romney march to the nomination. Yes, he made history becoming the first non-incumbent Republican candidate to win both Iowa and New Hampshire. But he won Iowa by 8 votes and couldn’t hit 40% in the state where he owns a home and is next door to his native Massachusetts. South Carolina is Newt’s New Hampshire. Next to his home state of Georgia and a blue-collar conservative bastion that may well be receptive to the surprising populist message of the new main street Republicans. This race may just be starting. The only recently successful one I remember was Bill Clinton and Al Gore’s bus trip shortly after the 1992 convention. It seemed a relatively low-tech, novel, charming little trip that actually stirred up interest and fairly sizeable crowds. Now we have Sarah Palin’s on again-off again bus tours that enable her to essentially party-crash wherever some big Republican event is happening. And then there’s the President’s “non-political,” “non-campaign,” three-day bus tour in a scary looking super-fortified shiny black bus that looks like the kind of vehicle Darth Vader would have used if he decided to go on a listening tour. The best moment of the Sarah Palin Iowa visit came when ABC News Correspondent, Jake Tapper tried to ask a couple of questions and the former Alaska Governor put him off because she had an appointment with a heifer in the nearby dairy pavilion; proof she really was there to pet the animals and was not seeking media attention. Following the Sarah Palin mob scene at the Iowa State Fair, the media pretty much forgot about her as only NBC chose to keep covering her “bus tour” as it veered off into Ronald Reagan country with visits to the Gipper’s childhood home in Dixon, Illinois and his alma mater of Eureka College. That was followed by a stop at the Abraham Lincoln Presidential Museum in Springfield, Illinois. 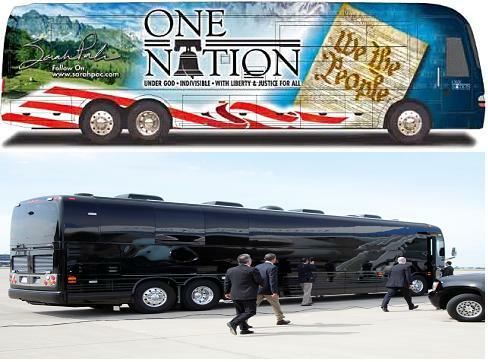 It must have been an odd and empty feeling for the Palin’s to see the media mob gone, their attention sucked up by Texas Governor, Rick Perry and President Obama’s own bus tour. It actually turned into a real honest-to-goodness Palin family vacation, which I’m guessing was a somewhat unexpected development for them. As for President Obama’s “regular guy,” “non-political” bus tour; it is immediately being followed by what has now become a controversial vacation for ten days in posh Martha’s Vineyard, Massachusetts. Critics from the left and the right are saying the Martha’s Vineyard “optics” don’t look good with all the economic misery out there and what not. Perhaps the First Family should forego the Vineyard and just hang out on the big shiny, fortified black bus for the next couple of weeks. Given all the anger permeating the nation, it may just be the safest option- plus it reportedly has really cool flat-screen TV’s. Don’t accidently meander into Texas though, Mr. President. I hear it can get ugly down there for Federal Reserve Board Chairmen and presumably other government types as well. Then again, you can probably launch nuclear missles from that thing, can’t you?